Air quality can be bad during the summer. While we are all doing our part to limit ozone air pollution by carpooling, riding our bikes, turning off lights and planting trees, there’s another air pollution danger that you need to know about: wood smoke, but its official name is Particulate Matter 2.5. Whether it’s lighting a campfire to toast marshmallows, or gathering around the backyard fire pit on a cooler summer night, these activities create wood smoke, which contains some of the same harmful things found in cigarette smoke. 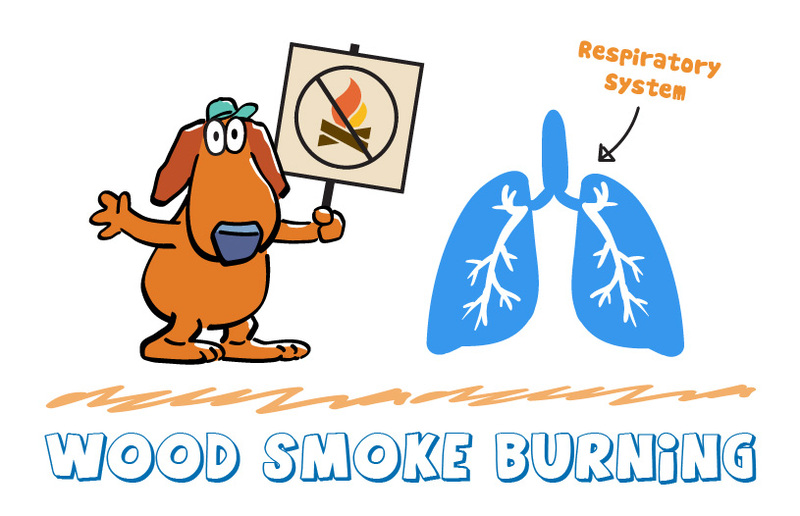 Wood smoke particles are very small, so they don’t get filtered by our nose or lungs. Instead, these small particles end up deep inside our lungs where they can stay for months. This can hurt your lungs and even increase your risk for illnesses like pneumonia. Help me reduce wood smoke pollution! I would love to hear tips from you, too! Send me your ideas at scooterthesparetheairdog@gmail.com. I also like to get out and meet new friends and I might be in your area soon. 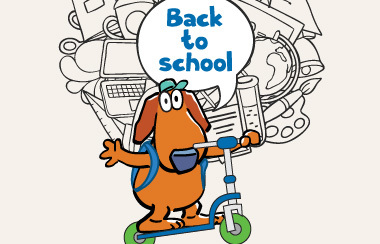 Check out “Scooter’s Calendar” on the right side of this page to see where I will be next. Hi friends! The beginning of a new school year is such an exciting time and also a big change. We are making new friends and learning new things. We are waking up earlier and getting ready to carpool or walk to school. We are getting home later and running errands with our parents as they link their trips to save time and help Spare The Air. 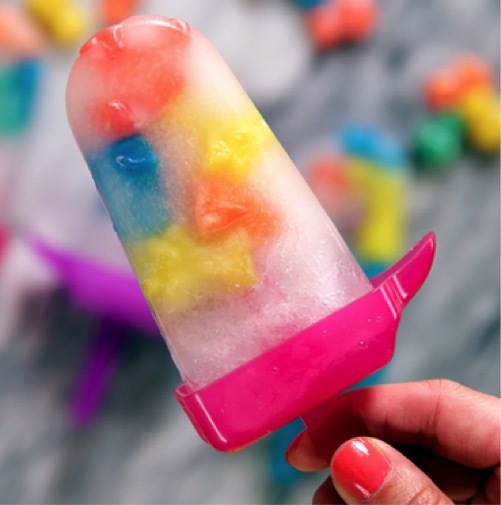 Saying farewell to summertime is never an easy thing, but with these awesome DIY gummy bear popsicles, you will feel like you’re on summer vacation all year! So finish your homework, and ask a grown up if they are ready to put the “pop” in popsicle. All you need are: popsicle molds, white grape juice and of course, gummy bears! Follow the easy steps below and enjoy the refreshing taste of summertime anytime you want. If you’re missing an ingredient, don’t worry – just get creative. I also like using lemonade, fruit snacks and ice trays. 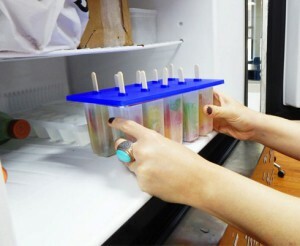 Let me know how yours turn out by sharing a picture of your popsicles on my Facebook. 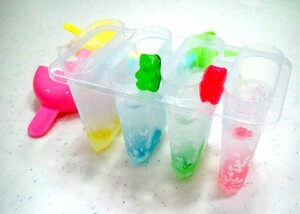 Fill your popsicle molds with your juice and gummy bears. Place your popsicles in the freezer until they are frozen solid. Enjoy your sweet gummy creation and make sure to share with your family!